Emerging Urban Poets: Pictures from Exhibitions! 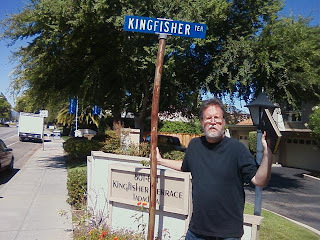 Kingfisher pontificates on an eponymous street corner in Sunnyvale! 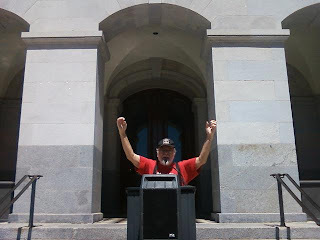 CaLokie rallies the masses on the steps of the Sacramento Capitol! 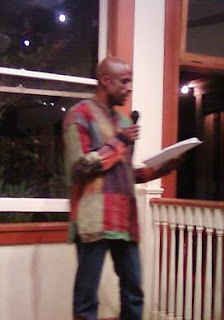 Marvin Dorsey performing his powerful poetry in San Luis Obispo! 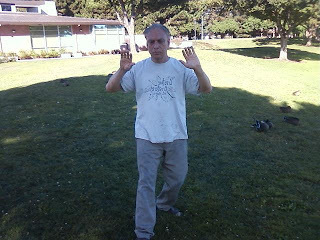 Eli Goitein practicing Tai Chi in a Sunnyvale park! 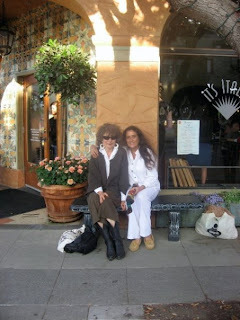 Our hostess Ellaraine Lockie and Sharmagne Leland-St.John in Half Moon Bay!